Ace Sheds provide the perfect log storage option with a range of stylish and robust log storage cabins that have been designed to protect and store logs safely whilst airing and preventing damage from weathering. Log storage sheds are attractive and sustainable stockpiling logs ready for the upcoming transition to autumn and winter when log supplies are in demand. It is not recommended to store logs outside unless protected because they can become unusable when soaked by rain water. 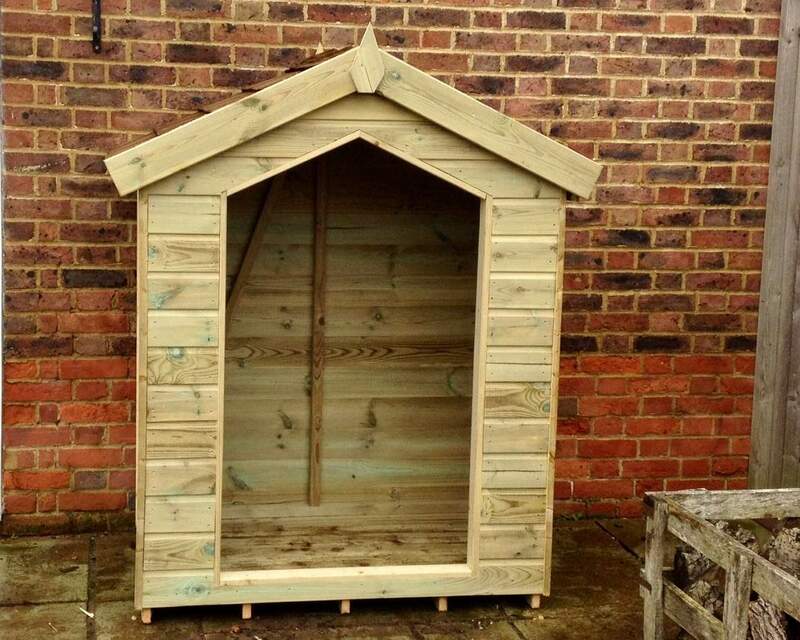 However, log storage sheds provide perfect shelter from weathering including rain and snow to ensure your wood stays fresh, dry and readily usable whenever you need it. 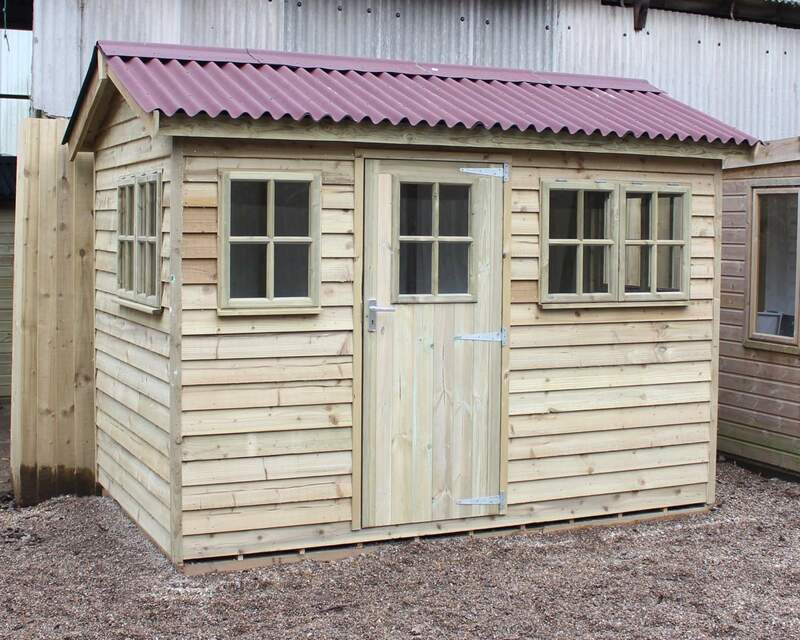 Our Wooden Log Storage Cabin is a stylish storage shed for those looking to achieve the country modern style following the current trends. Place your log storage shed next to an outdoor cosy winter seating area complete with a fire pit to create the ultimate winter alfresco dining set up. 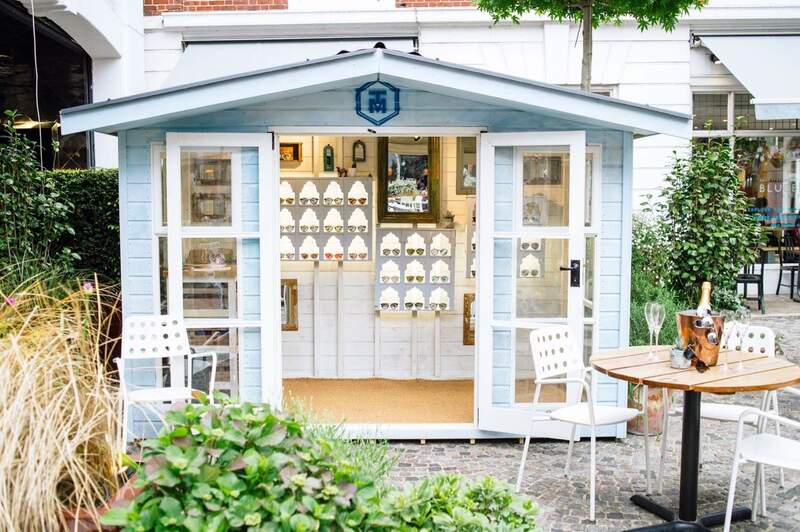 Or place your trendy log storage shed against a brick or ragstone wall to create a chic, rustic look; a perfect way to instantly makeover your garden. 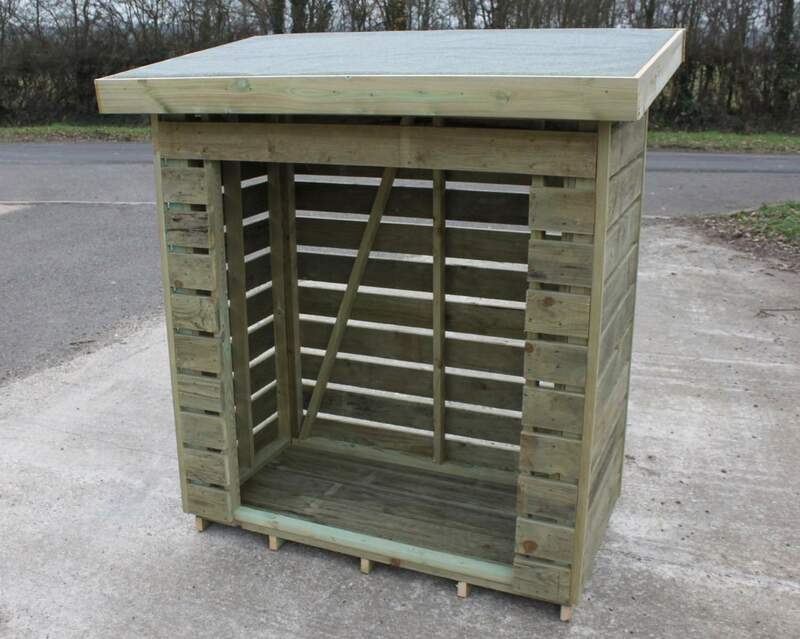 For alternative log storage options, our Sussex Shed has an optional added extra to include a log store located at the end of the shed which is large enough to store both firewood and bikes. For more garden storage options and alternative log stores, we sell a range of garden tidies which are perfect for those wishing to combine log stores and storage solutions together to take up minimal space in the garden! 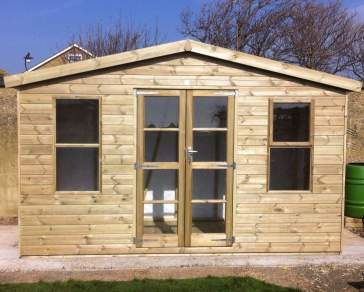 Why should I buy my log storage shed from Ace Sheds? Our log cabins are built with a quality timber, Scots Pine, which is grown all over Northern Europe and are manufactured in the South East, Kent. We are proud to offer high-quality products with a first class service, and our fantastic delivery and installation service makes purchasing and receiving your log storage shed as hassle-free as possible. All of our log storage sheds have 100% pressure treated cladding which prevents against rotting and decay during extreme weather conditions. 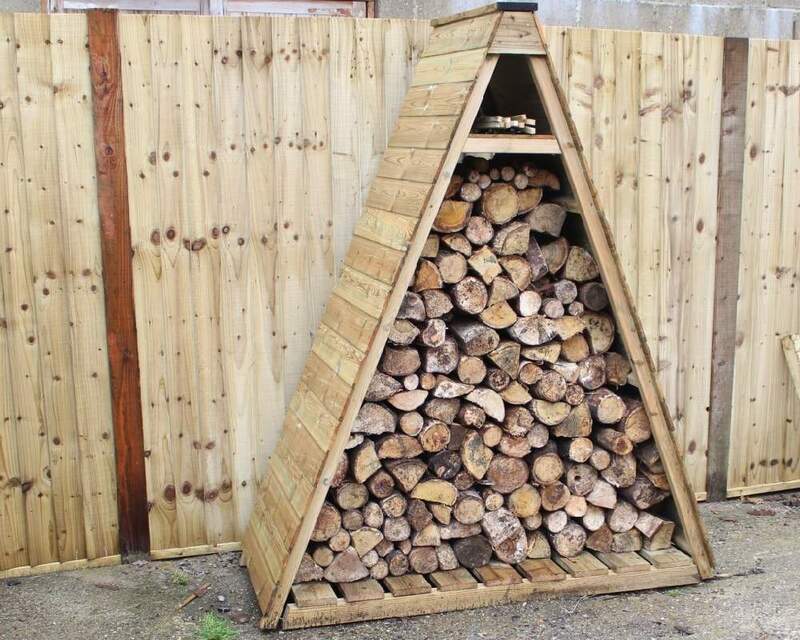 This gives our customers peace of mind and assurance knowing their investment into our log stores offers sustainability and durability whilst ensuring their firewood maintains dry and usable. If you would like more information of the log storage solutions we have available, please don’t hesitate to contact us or visit us at our showroom in Ashford, Kent and we can demonstrate our log storage shed in action!